Plain Plastic Packaging Solutions using a variety of clear plastic boxes, cartons, and transparent tubes offer visual impact for your product on the retail shelf. Plain non-printed plastic packaging is simple, beautiful, transparent and will best position your product to impact your target consumer like no other packaging can. Clear packaging means that consumers can quickly identify your product and become more tempted to purchase it. Clearpak has one-of-a-kind solutions to instantly upgrade your gift and combo packs. Clear plastic cartons and sleeves are a great cost-effective alternative to shrink-wrapping your products. It’s especially useful for those products that are more difficult to shrink wrap. Clear packaging will also provide you with a quick turnaround from the date your purchase order (PO) is placed to the time your product is shipped to your warehouse. Depending on material and order quantity, we can turn this around in as little as 2-4 weeks. Embossing/debossing and foil stamping are great inexpensive options to enhance your non-printed cartons. We have perfected a very cost-effective way to display eye-catching graphics for multiple SKUs on a clear plastic non-printed carton. These are an outstanding way to highlight your product and increase interaction by providing your customer with a 360° view of your product. Thermoformed inserts can instantly elevate your product and allow it to stand out on the retail shelf. Reach out to Clearpak’s dedicated team of packaging experts to find out how we can provide help upgrade your product with the clear difference in packaging! 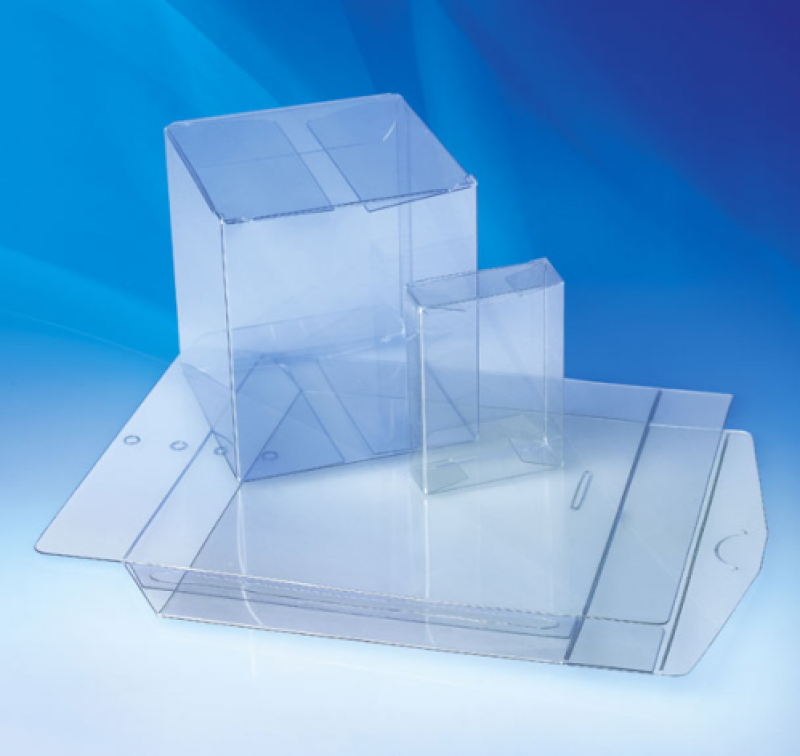 Regardless of whether you are seeking a gift box for cosmetics, or a clear pvc pillow box with hanger, or a tuck top clear plastic box, we have a creative packaging solution to secure, protect and showcase your product. Clear PVC boxes are well suited to the Pharmaceutical and Nutraceutical industries for this reason.